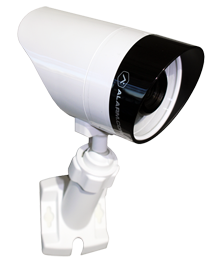 Deterrent – Security Cameras serve as an effective deterrent. A thief will certainly think twice before targeting a home or business in the Kansas city area, where they know that video surveillance is capturing evidence that can be used to identify them. It is therefore good to have signs posted that warn everyone that security cameras are in use. 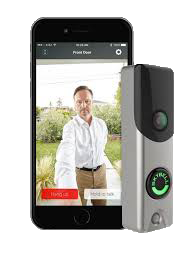 Peace of Mind – Perhaps the most important benefit of a security camera system (CCTV) is the ability of even just one or two security cameras, to let you know that everything is OK at your Kansas City Area home or business, even when you are away. You can use remote video surveillance to check on your pets, to see if your children arrived home from school or to see if an important package arrived. Apprehension – The video captured by high quality security cameras can help identify a criminal. In order to use the video as evidence in the Kansas City area, it is advised that signs be posted that inform visitors of the presence of video surveillance and of 24/7 video recording. Protect your Business – Video Surveillance can also protect a business against fraudulent or inaccurate claims made by customers or employees. 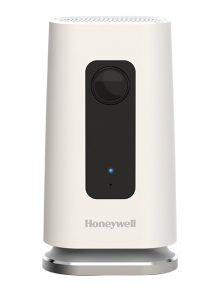 Security Camera Systems can record alleged incidents to determine what really happened. In order to do so, the cameras need to be positioned in the right locations and with good lighting so as to make sure that high quality video recordings are obtained. * TERMS AND CONDITIONS: Homeowner verification, credit approval and standard sales and monitoring agreements required. Standard text messaging and data rates may apply based on your mobile plan. Message delivery is subject to mobile carrier network availability. Internet connection must be available in order to use video camera(s) and other selected services. Local permit fees may be required. Usage of existing equipment is based on compatibility with Guardian's central monitoring station receivers. You must not currently be subject to an agreement with another monitoring company. **Limited Lifetime System Repair (LLSR): With the LLSR, for as long as your system is active, Guardian will provide services to address normal wear and tear or other malfunctions with your system, subject to the Terms and Conditions of your Agreement. Offer subject to change without notice. Cannot be combined with any other offer. Offer valid for new customers only. Additional terms and conditions apply.